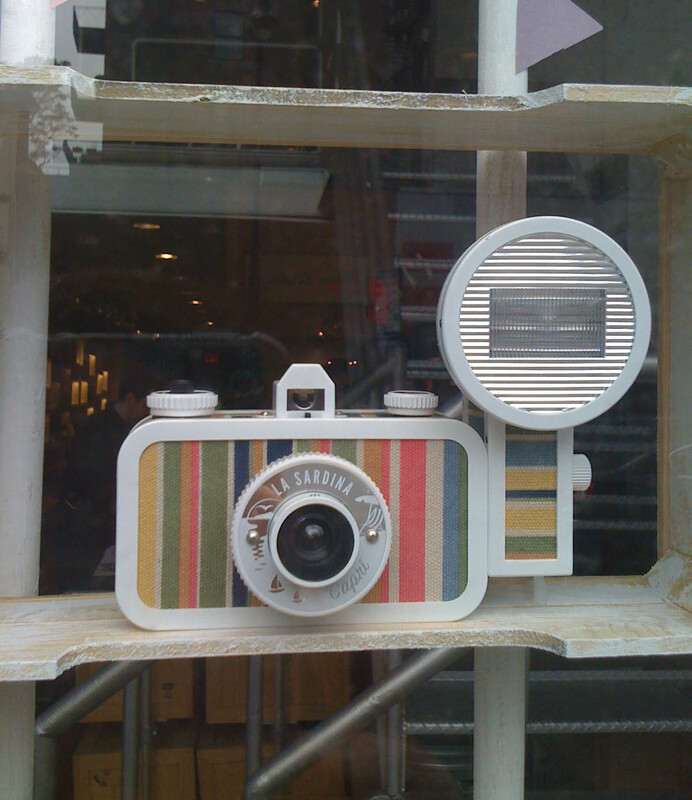 I probably walk by the Lomography store a few blocks from my apartment about once a week, but this past weekend I stopped in my tracks when I spotted these fun cameras in the window and stepped inside to see them up close. 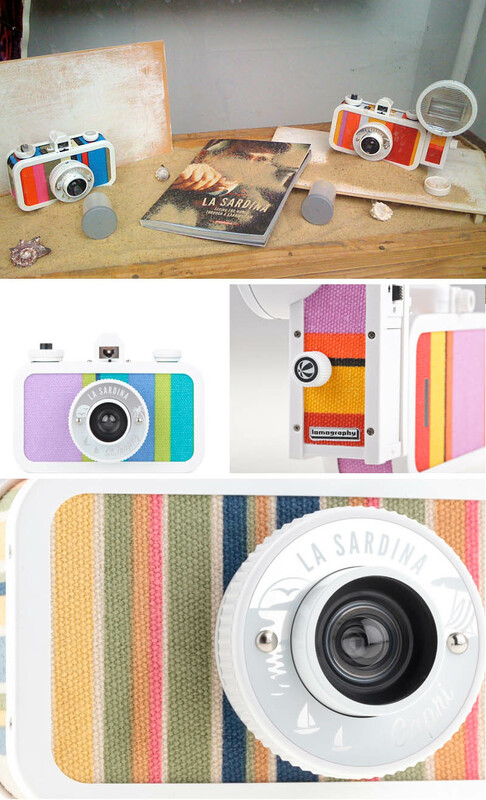 La Sardina Beach Edition cameras, as they are called, take their inspiration from the sardine tin—in their shape and size—and come in all sorts of fun colors and patterns which, in this edition, are printed on canvas. These 35mm film cameras (yes, film!) 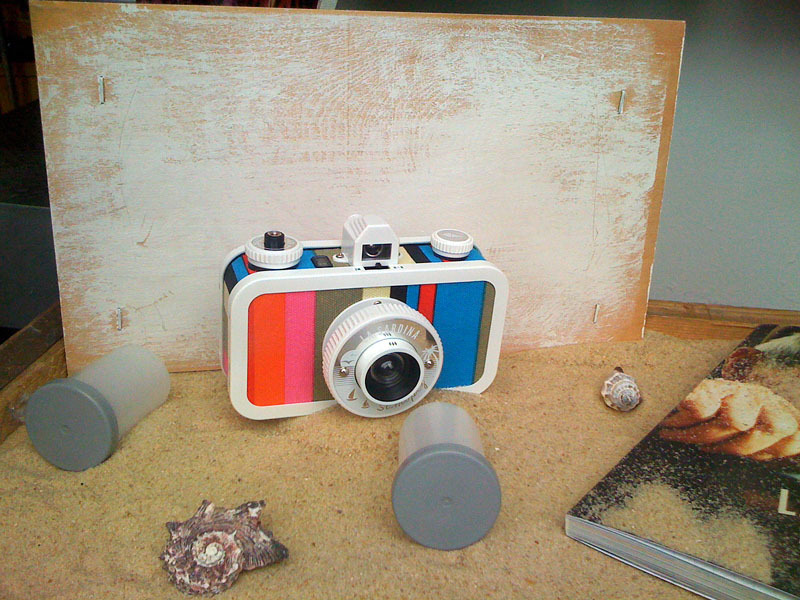 are super cute and cost between $75 and $110 and according to reviews, take a pretty decent photo in the Lomography style. You can see more designs and purchase them here. This entry was posted in Film, Fun, Industrial Design, Photography, Stuff We Like. Bookmark the permalink.